How Far is SSREC Sri Sai City? SSREC Sri Sai City offers spacious Residential Plots, so that you can construct your house in Hyderabad the way you like. This legally approved Plots are brought to us by renowned builder. 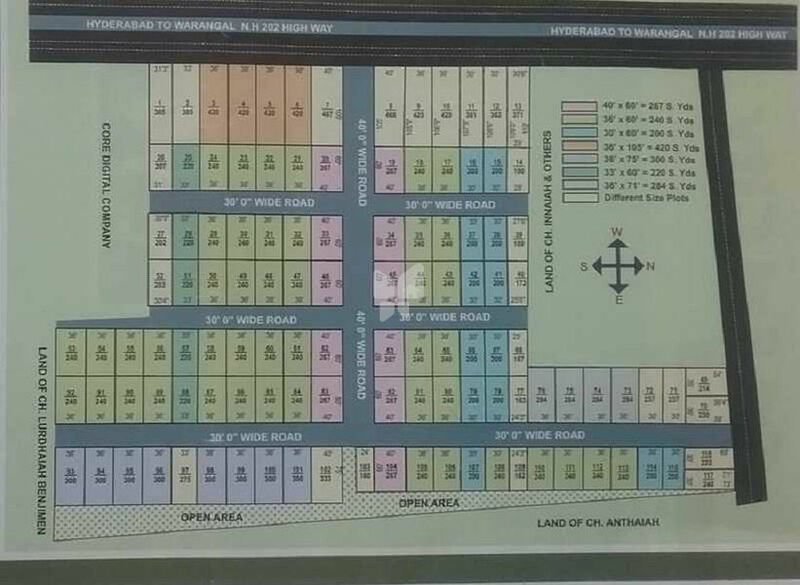 These Plots at Warangal highway in Hyderabad is a kind of investment which you will cherish forever. SSREC Sri Sai City is spread over several acres with a provision for many hi-end utilities such as Vaastu / Feng Shui and Security. According to the real estate market trends, Warangal highway is one of the best sites for buying a house in Hyderabad. The Residential Plots for sale offered in SSREC Sri Sai City is all set to make sure the best living experience ever. SSREC Sri Sai City is well connected to other parts of the city with wide roads. It is very easy to commute from SSREC Sri Sai City due to its strategic location.